Background/Purpose: Treatment with TNFi in early stages of peripheral Spondyloarthritis (pSpA) results in higher rates of clinical remission, compared to treatment in more longstanding disease. When remission is reached, the recently updated T2T-recommendations suggest tapering of treatment. In the CRESPA-trial pSpA patients were treated with golimumab monotherapy; we demonstrated that – after reaching sustained remission – discontinuation of golimumab led to biological-free remission in 53% of patients; conversely 47% experienced a disease flare. It is currently unknown if concomitant administration of DMARDs could lead to higher rates of biological-free remission. The objective is to explore – in pSpA patients in clinical remission – the possibility that co-medication with methotrexate would allow discontinuation of the TNFi. Methods: The CRESPA-trial included patients with active pSpA and symptom duration <12 weeks; the primary study results have been reported previously (reference). In the CRESPA-Extension protocol, patients were included that either did not reach remission (but had substantial improvement with golimumab treatment), or that experienced recurrence of arthritis, enthesitis or dactylitis within 1 year after discontinuation of golimumab. These patients received additional open-label golimumab 50 mg SC every 4 weeks for 2 years. At week 104, patients were offered an additional 12 weeks of golimumab treatment, but now in combination with methotrexate 15mg weekly. At week 116, patients in clinical remission continued methotrexate, but discontinued golimumab. Patients were prospectively followed to assess the rate of sustained biological-free clinical remission. In case of relapse of arthritis, enthesitis or dactylitis under methotrexate monotherapy, golimumab was restarted. Results: Currently, twenty three of the original 60 pSpA patients included in the CRESPA-trial, completed the 2-year CRESPA-Extension protocol; of these, 21 (91%) were in clinical remission at week 104 when methotrexate was added. The mean follow-up period after completion of the extension part, was 80 ± 28w. 5 patients (24%) are still in sustained remission (n=5) under methotrexate monotherapy whereas in 16 patients (76%), golimumab needed to be re-installed because of relapse of disease activity (n=14) or development of adverse events related to methotrexate (n=2). Recurrence of disease was characterized by development of arthritis in all patients with a median of 4 tender and 3 swollen joints. In 50% (n=7) of the cases, concomitant dactylitis was present. 64% (9/14) were having concomitant psoriasis which was mild since all had a BSA < 5%. The mean time for recurrence was 28,6 weeks. Restarting golimumab treatment promptly restored clinical remission in all patients within 12 weeks. Conclusion: In patients with pSpA in clinical remission after 2 years of golimumab monotherapy, concomitant administration of methotrexate before discontinuation of the TNFi, did not significantly raise the percentage of patients in biological-free remission. In 76% of patients, golimumab had to be restarted, underscoring the overall weak efficacy of methotrexate in pSpA. Disclosure: P. Carron, None; G. Varkas, None; T. Renson, None; R. Colman, None; D. Elewaut, None; F. van Den Bosch, None. Carron P, Varkas G, Renson T, Colman R, Elewaut D, van Den Bosch F. High Need for Anti-TNF Therapy after Withdrawal Strategy in Early Peripheral Spondyloarthritis [abstract]. Arthritis Rheumatol. 2018; 70 (suppl 10). 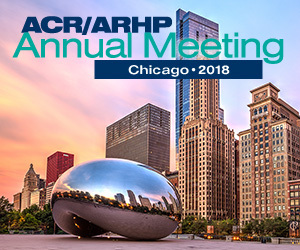 https://acrabstracts.org/abstract/high-need-for-anti-tnf-therapy-after-withdrawal-strategy-in-early-peripheral-spondyloarthritis/. Accessed April 19, 2019.